The Olmo Gepin is the new top model in Olmo's range and is named after the founder Giuseppe Olmo. This new model is the result of many years of working with carbon and is refined from such popular models as Zeffiro, Soon and Personal. 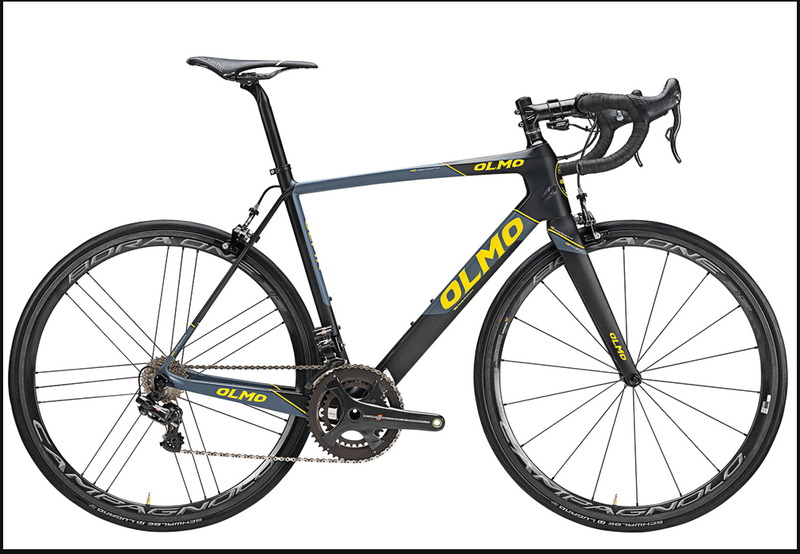 Olmo's engineers wanted accomplish a top level race bike that is both stiff and light but also maintaining superb comfort to reduce fatigue in long races. 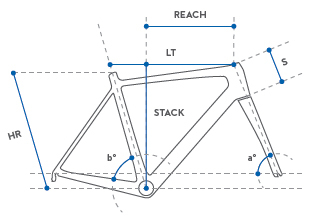 They started by creating an extra rigid bottom bracket zone with extra material to reduce lateral flex. Next they shaped the down tube in order to reduce torsion and joined this to an oversize tapered head tube to improve steering control. Finally they used extra thin seat stays to improve comfort where the rear triangle meets the seat tube and seat post. In order to keep the frame ultralight they used the highest grade hi mod and hi res carbon blended with nanotech. All cable routing is internal and accepts both mechanical and electronic systems.